And what an incredible godsend our trusty FanU has been during the heatwave. We’re not complaining. But anyone who’s had to travel on public transport has really, really suffered as the temperature soared. But anywhere and anytime it’s hot – under marquees at festivals, stuck on the Northern Line, or waiting for trespassers to budge off Jo’s Southeastern link to Hastings (it’s the new ‘leaves-on-the-line’, excuse-wise) this has made it bearable. 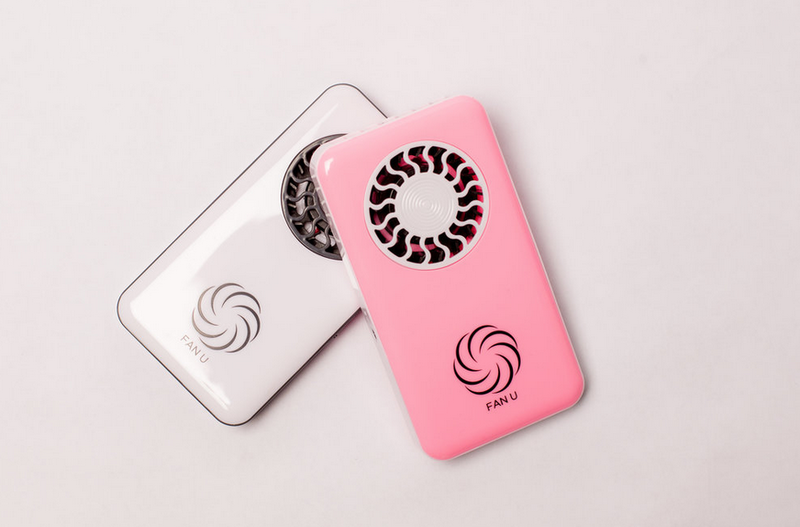 But in point of fact – even though it’s perfect for the task – this wasn’t developed for heatwaves, but to tackle hot flushes which were experienced by FanU’s founder as she underwent chemotherapy. Jodi (the cancer patient) and her mother Adele then got together and launched FanU – the perfect antidote to hot flushes, whether the cause is chemo, hormones, or implausibly hot temperatures. So: for anyone who’s undergoing chemotherapy or is menopausal or perimenopausal, this is going to become a year-round godsend.